MyCareline is all about personalized care services built around you!. We bring you the medical experts, advanced technology and reliable care services together with a single call to MyCareline (7053424242). We offer you complete care management solutions for your loved ones in the comfort of your own home. 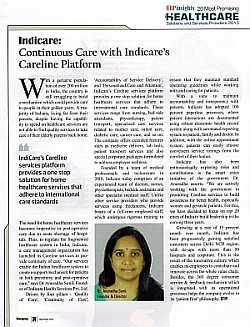 MyCareline is brought to you by Indicare Health Services Pvt Ltd (IHSPL) which is a Care Management Organization that develops & deploys technology enabled solutions to deliver accessible, affordable & accountable patient care services across India. It is founded and led by a team of highly qualified & experienced doctors, management professionals and technocrats from premier institutes in India. Our Staff include experienced Nurses, Physiotherapists, Bedside Assistants, Dieticians, Clinical Psychologists, Maternity & Babycare professionals spread across 12 cities in India. 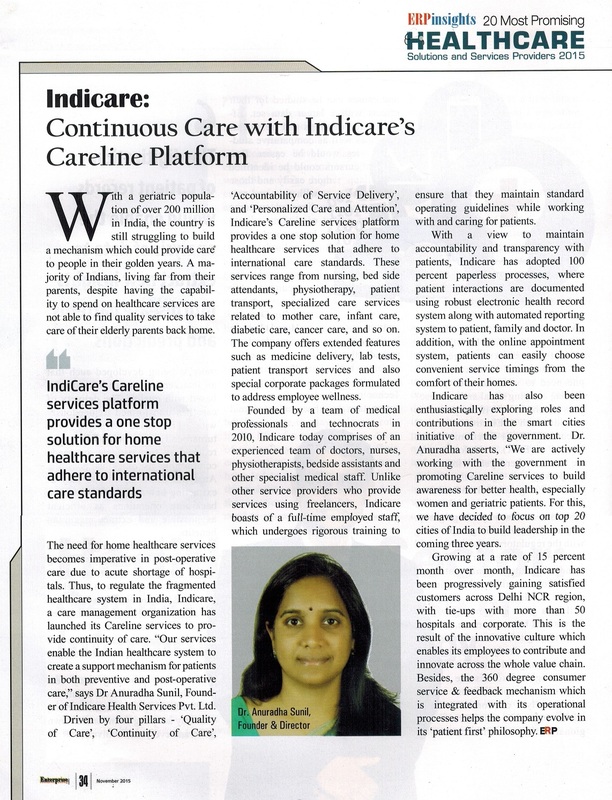 MyCareline has been recognized as one of the Top 20 Most Promising Healthcare Solutions & Services Provider 2015. Thank you for all your services. Thanks again to your lovely team? Thanks for your message. We appreciate it.Your staff have been very very good and made things easier for us at this difficult time.